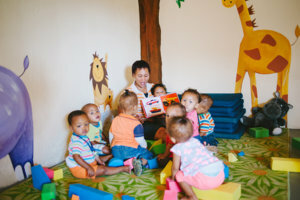 Onse Skool is an Early Childhood Development Centre for children from the Paardeberg farms near Malmesbury and it opened its doors in February 2014. 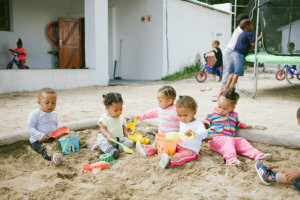 We take in children from ages 6 months to 6 years and follow an active stimulation programme: children age 6 months to 3 years follow the Oakhill Learn2Live programme www.learn2live.co.za. 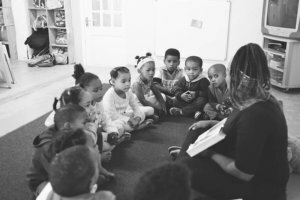 Ages 4 to 5 follow the Onse Skool programme that was developed by the programme manager and facilitators and which is currently considered for registration by the Department of Social Development. The four building blocks of this centre is Excellence, Collaboration, Joy and Integrity. There are 50 children in the school with nine facilitators including day mothers for babies, educators, assistants and a cook. All the facilitators are from the farming community. A project manager is responsible for ongoing onsite training of all staff members and the general organisation of the school. Being the only ECD in an area of 40 square kilometres, we are only touching the tip of an iceberg here, or to refer to a more African image: we only see the ears of the hippopotamus above water. 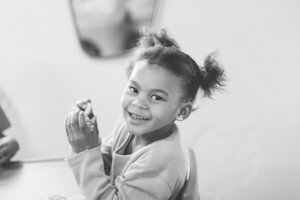 There are many, many more children in need of preschool support and in order to help them we need to find solutions to three basic obstacles: transport, enough trained educators and sufficient space. Community involvement is of utmost importance. 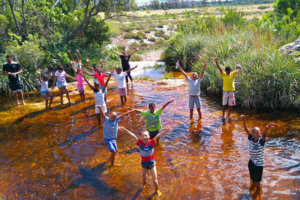 The school is housed in a renovated cellar building made available by Lammershoek Winery. Transport to and from the preschool is organised by landowners and parents from different farms. All parents pay a basic school fee and are expected to attend parent meetings and to ensure that their children attend school regularly to get the full benefit from the programme. 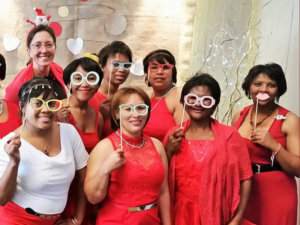 Private sponsors and the Department of Social Development fund expenses not covered by school fees, and our school facilitators organise a few annual fund raisers in the community. 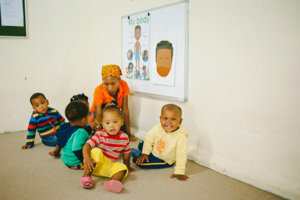 This is a community project: Onse Skool translates to Our School. 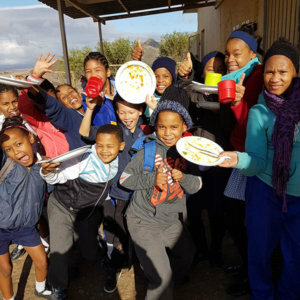 The primary school kids in the Paardeberg have no access to any other stimulation or development opportunities than basic schooling, since they do not have extra-mural activities or a library. Their parents work long hours and the children are unattended after school, with very little to do. The number of primary school drop outs is high. Very, very few of our children complete secondary school and many do not even attend. The Trust has started numerous incentives over the years, often in collaboration with other entities, and in many cases one or more of the following factors caused the project to be unsustainable: lack of enough space, transport issues (school busses leave shortly after school and only the children who live within 5 kilometres from the school can attend activities) and a shortage of trained staff with a heart for this specific community. It has become clear that we now need a dedicated space, creative solutions to transport issues and even more training possibilities for adults to make any significant inroad into this rather hopeless situation that is not unique to this area, but should be unheard of in this day and age. In 2017 the Trust started an after school programme in collaboration with the local primary school, the Anna Foundation www.annafoundation.com that runs an afterschool programme in rural areas and the Lunchbox Fund www.thelunchboxfund.org that focusses on providing excellent nutrition for children. 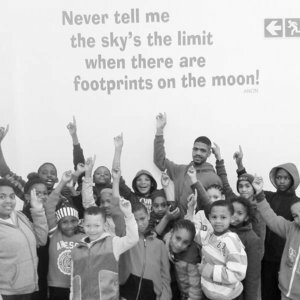 The programme ran from 2pm to 5pm on school days and was run by facilitators selected from the community. We also launched a cross-country programme with a park run once a month. 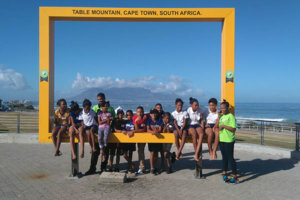 This outing was combined with an educational or “the world is a bigger place” activity – for example, a park run in Paarl combined with a visit to the Taal Monument or a park run in Blouberg combined with a visit to the Science Centre. 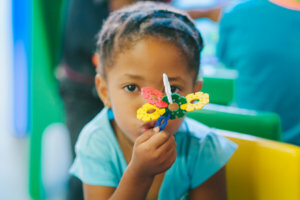 Facilitators organised holiday projects together with the Onse Skool ECD staff, giving children the opportunity to participate in various activities including art, the production of a play, quizzes and songs with a local band. 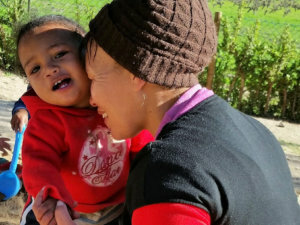 One of the most significant outings was a camp in Tulbagh in December. 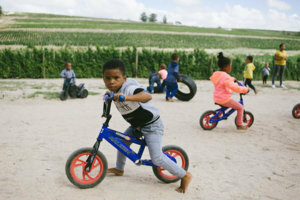 The project, although successful, was not sustainable, mainly due to transport challenges for most children – the school busses left early and many children could not attend any of the activities. These projects are only viable if a significant number of children of the same age group can participate. We will consider reviving this project when transport challenges are addressed. 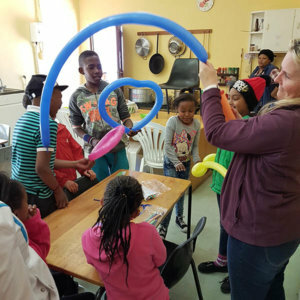 The Trust facilitated a full scholastic assessment of all the learners who participated in afterschool activities in 2017. The results were reason for great concern and it was clear that any remedial action had to start as early as possible. 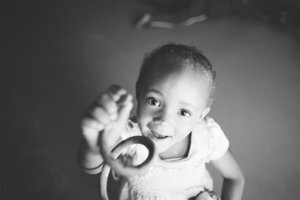 In 2018 the Grade R learners of the local primary school started doing at least one hour of intensive stimulation per day to improve their auditory perception and language skills. 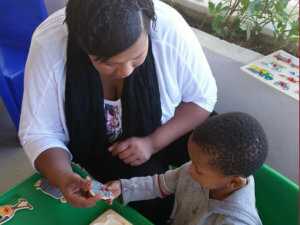 Three staff members of the Onse Skool ECD, in collaboration with the WCED, took care of this project which included informative sessions with the parents as well. 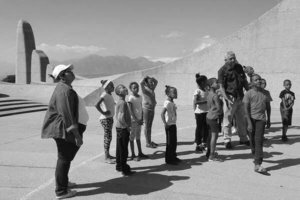 The whole project came to an abrupt end when the classrooms set aside for the Trust activities became unavailable. 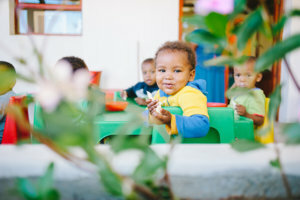 The project did show us what a crucial role auditory perception and well-developed language skills play in the Foundational Phase and made us more aware of the need for Early Childhood Development in this area where we live. We offer music lessons two afternoons per week for children aged 10 and older. 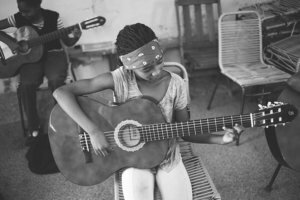 Three community members teach the children basic music theory and we work with guitars mainly since we need to be able to transport the instruments to and from the lessons. The children need to attend regularly and prepare for lessons in order to remain in the group. 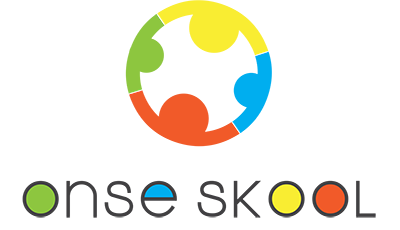 Parents are invited to participate in decision-making regarding outings, funding, etc. These are early days and the development of the project can still move in different directions. 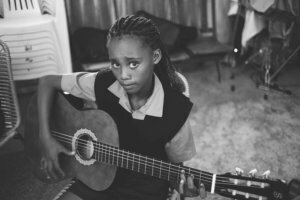 The general goal is a youth band and that individual learners with exceptional talent will be able to attend private lessons and get access to a more formal music education. 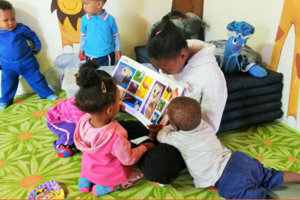 An initiative to inspire children to read was started in 2017, with great success. Several books from popular children’s literature, such as The BFG of Roald Dahl and The Lion, the Witch and the Wardrobe of C.S. Lewis were read to them and after having read the book, they were shown the movies. 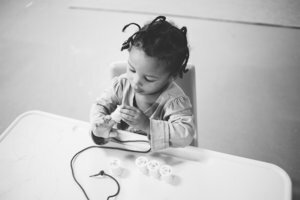 It took time for the children to grow into the activity, since they do not have exposure to books and their auditory perception and vocabulary are not as well developed as it should be. It became a much-loved activity and we would like to ensure that this grows into a permanent programme, therefore the inclusion of a library space in the plans for the new building. The municipal librarians in Malmesbury taught two people from our community basic library skills and Biblionef made a donation of books to kick-start the project. Plans had to be put on hold when we lost the space at the primary school that was intended to be a reading room, but we probably have more time to train a librarian now! The chess project is still on the drawing board! The idea is to take three people to chess classes and encourage them to teach the basics to a group of children before coming to an agreement with a local chess teacher who can travel and do classes here. The main focus of the Trust is community development through education and therefore training and empowerment of the facilitators and adult staff members are as important a part of every initiative as the education of children. There is a high rate of unemployment in the community and there is little sense in educating the younger ones if there are no jobs for them when they become adults. More trained adults create new activities and new job opportunities, therefore the Trust endeavours to employ local people where possible and train them, rather than employing trained people from other communities. 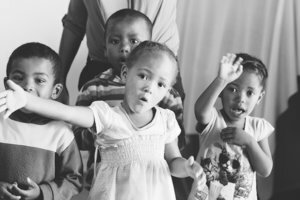 Compared to the prescribed educator-child ratio, the Onse Skool ECD has more facilitators than necessary, because the school functions as a training centre for educators as well. 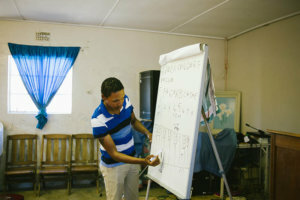 Facilitators upskill at the local college in Malmesbury or by doing the B.Ed (Foundational Phase) through UNISA. The programme manager is responsible for daily practical training and monitoring of all the educators and therefore all the staff members are in a continuous process of training. The development of more general skills are also addressed. All facilitators are actively encouraged to obtain driver’s licenses, since this allows a person to enlarge his/her own world and it will most probably help to solve the constant problems with transport issues in time. Life skill training, such as discussion courses about leadership, conflict management and relevant social topics are done throughout the year in specific time slots. The responsibility for specific tasks in the school is handed over to facilitators in a continuous process and they are encouraged to plan and execute different projects; and train and guide and mentor younger colleagues. This process is time-consuming and projects develop more slowly as they would have if they could have started with a fully-trained staff from Day One onwards. We need dedicated people who are committed to this specific community though – and this is the only way in which we can work towards that goal. This method also prevents us from outgrowing our own capacity which may, in the process, lead to mediocrity.